Sibro is for brass brazing steels, malleable cast iron, copper, copper alloy with melting temperatures greater than 950°C (Solidous), nickel, nickel alloys. Is for copper, cast and malleable iron brazing. 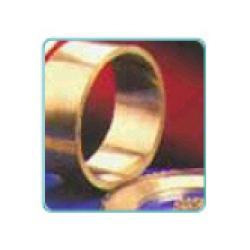 Primarily used for brazing tungsten carbide. It is also used with steel, cast iron and malleable iron, nickel and nickel alloys. Nibro with 1% Silver to improve joint strength. Is suitable for brazing cemented carbide in rock drills and similar percusively loaded joints. Is most suitable for brazing carbide to rock drills. Used on any steels, nickel and nickel alloys. Used on any steels, nickel and nickel alloys and copper materials. Used for joining ferrous metals, nickel base alloys and copper nickel alloys. Used on steels, copper, copper alloys, nickel, nickel alloys and stainless steel. It is used with the torch, furnace and induction brazing process. Used mainly on steels, malleable cast iron, copper and copper alloys. Used on steels, copper, copper alloys, nickel, nickel alloys and stainless steel where corrosion resistance is not of importance.